Familiar biotech names—not necessarily familiar for the right reasons—made news this week in biotech. Data from a hematology conference stoked dreams of approval, though still on a far horizon, for a couple drug makers. Long anticipated, Walgreens officially cut ties with Theranos, and the FDA both gave and denied approvals. You think a Game 7 in the NBA Finals is going to be epic? Wait ’til you check out our weekly biotech roundup. —Kadmon Holdings, the New York biotech formed by former ImClone Systems CEO Sam Waksal, finally unveiled IPO plans after hinting at an offering for more than a year. The filing held some surprises, however, as Xconomy reported: plans to convert about $200 million in debt—a massive amount for a privately held biotech—into shares at the IPO, with some of those shares holding special privileges for their owners. Waksal is also getting up to $25 million in severance. Convicted in 2003 of several felony charges related to insider trading, he is barred from serving as an officer or director of a public company. — Cambridge, MA-based Agios Pharmaceuticals (NASDAQ: AGIO) presented early data from two drugs, AG-348 and AG-519, for a rare inherited form of anemia. Safety concerns regarding AG-519 spooked investors, however, sending shares down more than 20 percent. The stock didn’t recover much after Agios provided cautiously promising patient data on AG-348 at the European Hematology Association’s annual meeting in Copenhagen. —More updates from the hematology meeting: Philadelphia-based Spark Therapeutics (NASDAQ: ONCE) and Dutch firm UniQure (NASDAQ: QURE) both updated their hemophilia B gene therapy programs. Despite technical differences and the early nature of the data that made comparison difficult, Wall Street declared Spark this week’s winner. UniQure’s shares fell more than 16 percent. —Two Bay Area firms said in Copenhagen they hope to ride interim data into pivotal trials later this year. 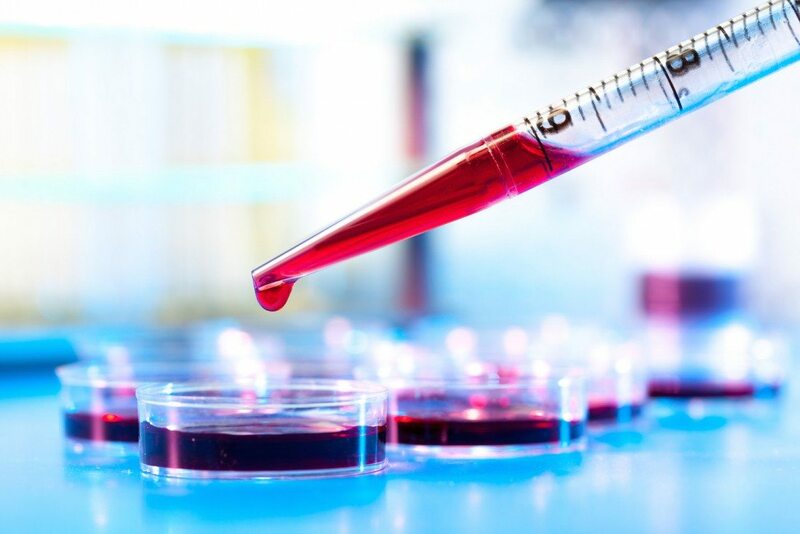 Global Blood Therapeutics (NASDAQ: GBT) of South San Francisco, CA, updated its ongoing Phase 1/2 trial for GBT-440, a sickle cell disease treatment. And True North Therapeutics (NASDAQ: GBT), also of South San Francisco, unveiled interim Phase 1b data from five patients with cold agglutinin disease, in which a person’s immune system attacks his or her own red blood cells. There are about 5,000 CAD patients in the U.S.
—It wasn’t quite a jump-the-shark moment, but FDA’s top cancer drug regulator splashed a little cold water on cancer immunotherapy in a Reuters story this week, wondering to a reporter if drug companies should focus on new ideas instead of drugs that aim for targets others have already hit. —All the while, Merck (NYSE: MRK) disclosed pembrolizumab (Keytruda) bested chemotherapy in a Phase 3 trial of previously untreated patients with non-small cell lung cancer; the study was stopped early because of the positive results. Pembrolizumab and nivolumab (Opdivo, from Bristol-Myers Squibb) are approved for lung cancer patients who have failed chemo, but both could become the standard of care for newly diagnosed patients, too. Bristol-Myers (NYSE: BMY) will have data from a similar trial of nivolumab later this year. —News for a group of slumping East Coast biotechs: Christoph Westphal and former Genzyme CEO Henri Termeer both stepped down from the board of Cambridge-based Verastem (NASDAQ: VSTM), whose shares are worth just over $1.30 apiece… Aegerion Pharmaceuticals (NASDAQ: AEGR) will merge with QLT (NASDAQ: QLT) of Vancouver and change its name to Novelion Therapeutics… Eleven Biotherapeutics (NASDAQ: EBIO) sold the rights to eye drug prospect EBI-031 to Roche as it continues to evaluate strategic alternatives… And Infinity Pharmaceuticals (NASDAQ: INFI) and Chiasma (NASDAQ: CHMA) are both cutting large portions of their workforce after setbacks. Shares of Infinity, in particular, were hammered, falling more than 60 percent. —Shares of Boston-based Paratek Pharmaceuticals (NASDAQ: PRTK), meanwhile, surged more than 20 percent after its antibiotic, omadacycline, succeeded in the first of two Phase 3 trials. —The FDA approved a cholera vaccine, Vaxchora, giving Redwood City, CA-based PaxVax its second commercial product. The agency was less generous to Coralville, IA-based KemPharm (NASDAQ: KPHM), rejecting the firm’s abuse-deterrent pain killer even though opioid abuse is top of mind in the U.S. right now. The rejection came a month after a panel of FDA advisors recommended the drug, but then voted to remove the abuse-deterrent label—a case of damning with faint praise, as investors realized last month. —From the “loose lips” department… Significant data from the Novo Nordisk diabetes drug liraglutide (Victoza) presented at a medical conference leaked on Twitter an hour before it was due for release… And Madison, WI-based Exact Sciences (NASDAQ: EXAS) got a boost when the U.S. Preventative Services Task Force changed its classification of colorectal cancer screening methods, which has implications for Exact’s diagnostic, Cologuard. An early leak appears responsible for a 33 percent spike in Exact shares the day before the news broke. —Funding rounds: Cambridge-based Mersana Therapeutics closed a $33 million Series C round with the aim of testing its first drug, an antibody-drug conjugate for breast cancer called XMT-1522… Rockefeller University spinout Rgenix’s $33 million financing was the second largest for a privately held Manhattan biotech this year. It’ll begin clinical trials for its lead drug, a cancer immunotherapy agent, in the second half of 2016… Blade Therapeutics of South San Francisco raised $45 million to push its preclinical work on drugs to treat fibrotic disease… Former Dendreon CEO Mitch Gold’s new company, Alpine Immune Sciences, pulled in $48 million from OrbiMed Advisors, Frazier Healthcare Partners, and Gold’s own fund, Alpine BioVentures.